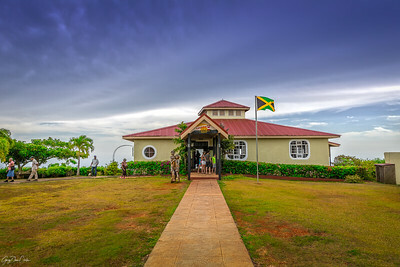 Photographs taken all over the island of Jamaica by Gary Clarke, the land where I was born. 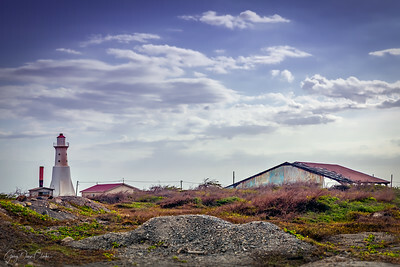 An abandoned house at Lover's Leap in the parish of St. Elizabeth, Jamaica, W.I. 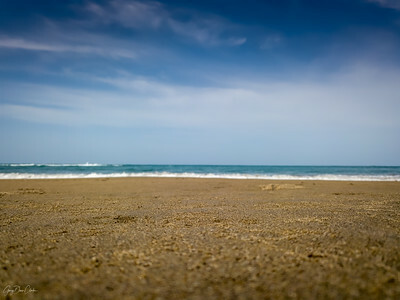 A pair of sandals on a very quiet beach in Black River, St. Elizabeth, Jamaica. 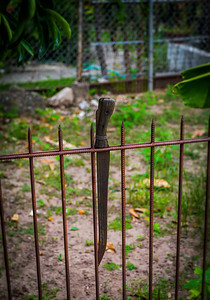 The ubiquitous machete is a tool found in many Jamaican households. I photographed this one at my uncle and aunt's house in Kingston, Jamaica. Tranquility as far as the eye can see. 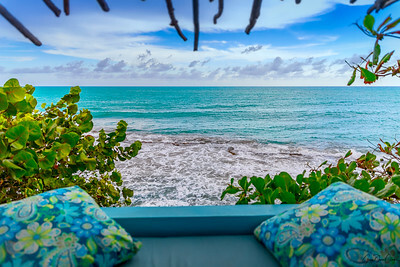 View of the Caribbean Sea from Jakes Hotel in Treasure Beach, St. Elizabeth, Jamaica. 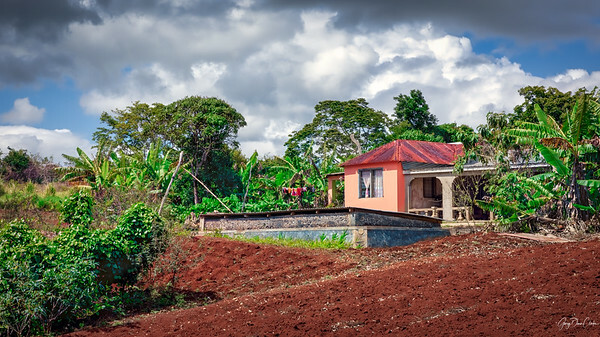 Taking in the beauty of the country side and the homes in St. Elizabeth, Jamaica. 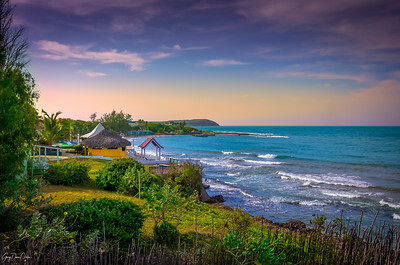 When I think of home, the Jamaica that I know, these places come to mind. 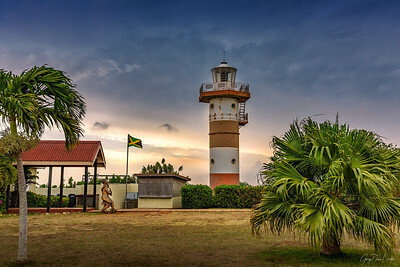 This is the area where my mother's side of the family came from in St. Elizabeth, Jamaica. I have been coming here all my life. 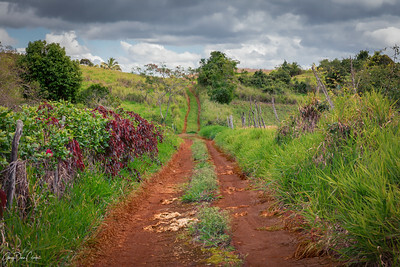 A country road in the parish of St. Elizabeth, Jamaica where my mother grew up. 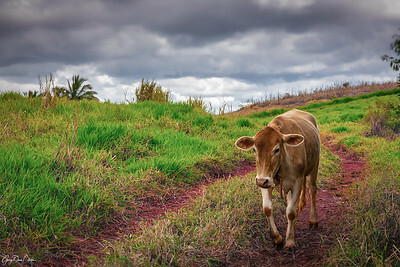 My cousin's cow was grazing along the roadside. 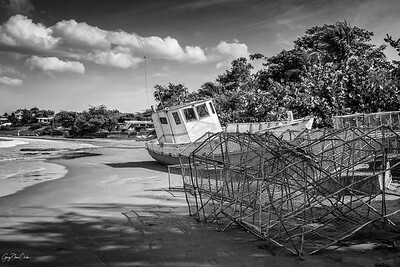 A fishing boat and cage in Calabash Bay, Treasure Beach, St. Elizabeth, Jamaica. My grandmother would come here and buy fish. Visit Lover's Leap in St. Elizabeth, Jamaica, and find out about the legend of Mizzy and Tunkey. 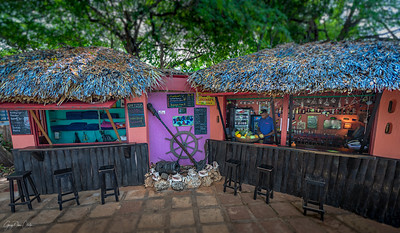 Dougie's Bar at Jakes located right on the Caribbean Sea in St. Elizabeth, Treasure Beach, Jamaica. 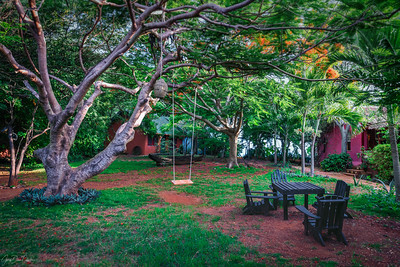 The garden as you enter Jakes Hotel in Treasure Beach, St. Elizabeth, Jamaica. 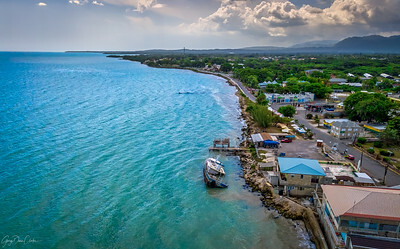 Right before the drone was about to take off over Calabash Bay, in St. Elizabeth, Jamaica, I took this shot from the drone of the sand, sea and sky. 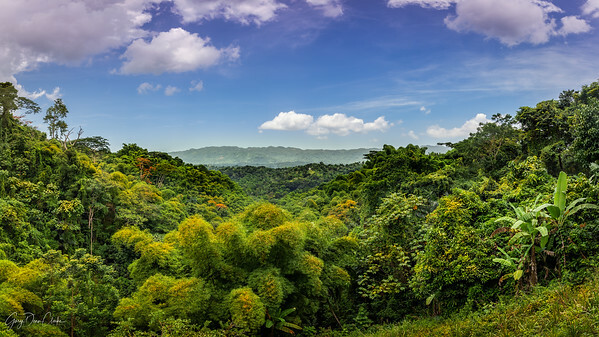 On a path through the hills and valleys of Jamaica. I had to stop and take in the view. 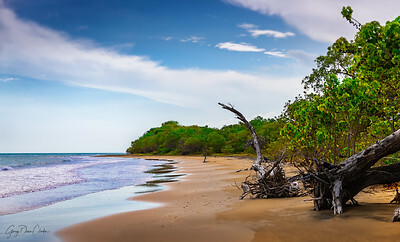 A three image panorama from the dock at Jakes in Treasure Beach, St. Elizabeth, Jamaica. 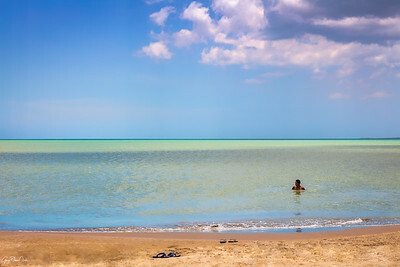 A Sunday afternoon on Jamaica's south coast. 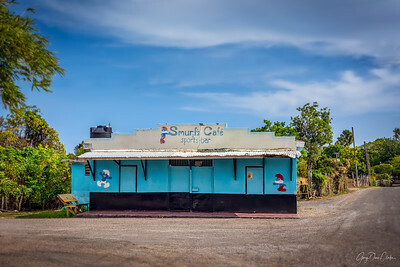 It was already too late in the afternoon but I heard that Smurf's Cafe in Treasure Beach, Jamaica, has a wicked breakfast.